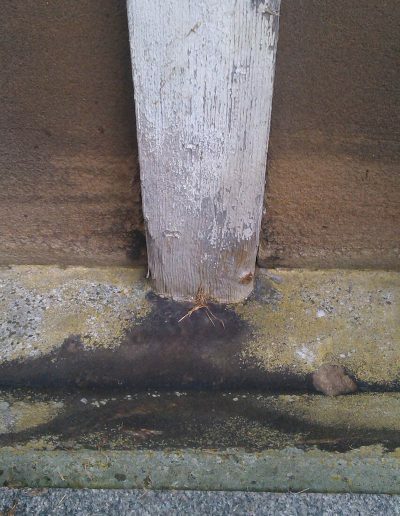 Evidence of use in field (earth marking, cracking, staining, shrinkage): some possible evidence of insertion into the earth but difficult to tell due to it being set into the surround. 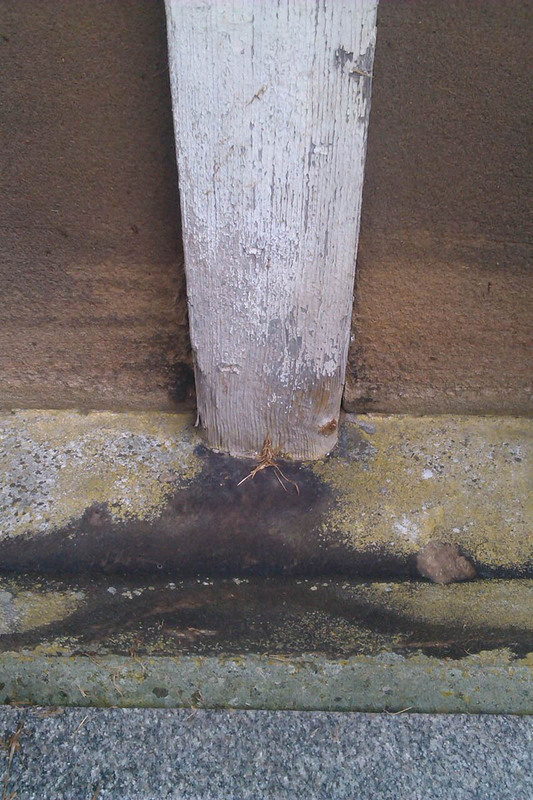 Condition (cracked, paint peeling, woodwork, damage etc): Wood cracked and splitting with paint peeling off the finish. 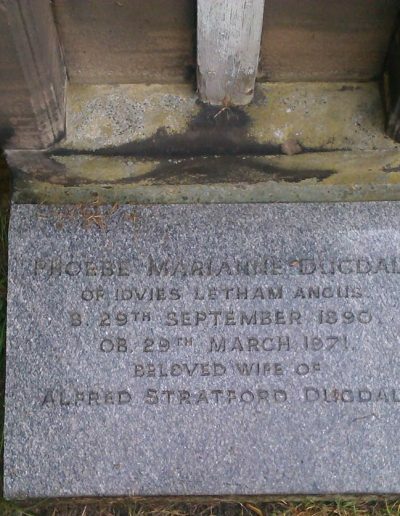 Plate with text on may have been restored recently due to condition difference between cross and name plate. 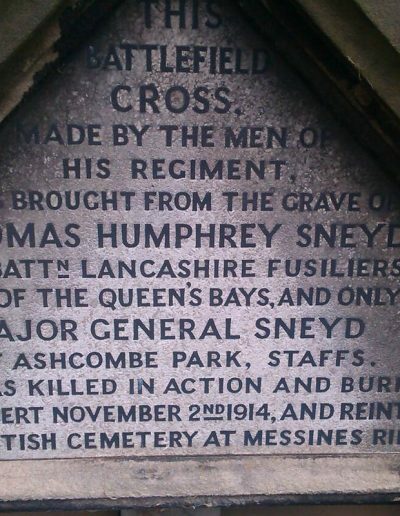 Thomas Humphrey Sneyd was 31 when he died. 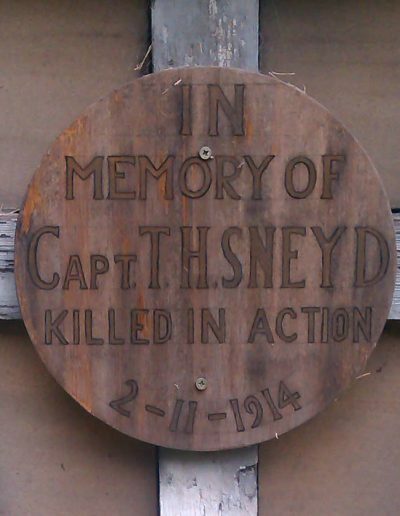 He is buried at Messines Ridge British Cemetery in Belgium and his headstone has the inscription ‘the Lord bless thee and keep the and give thee life everlasting’. 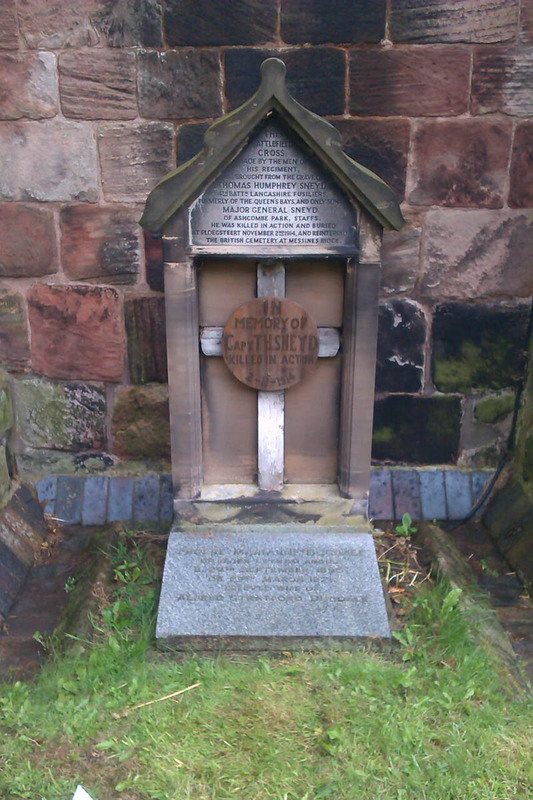 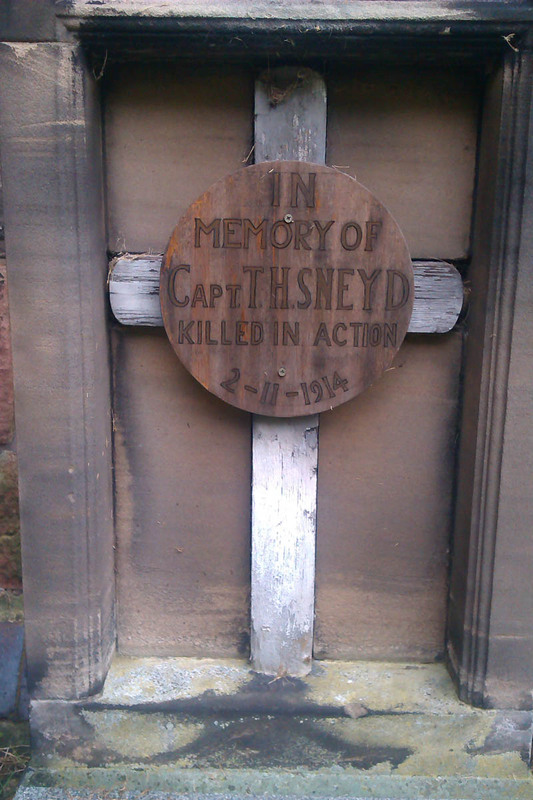 The cross also has a second memorial to Captain Sneyd and explains the cross was brought back by his men. 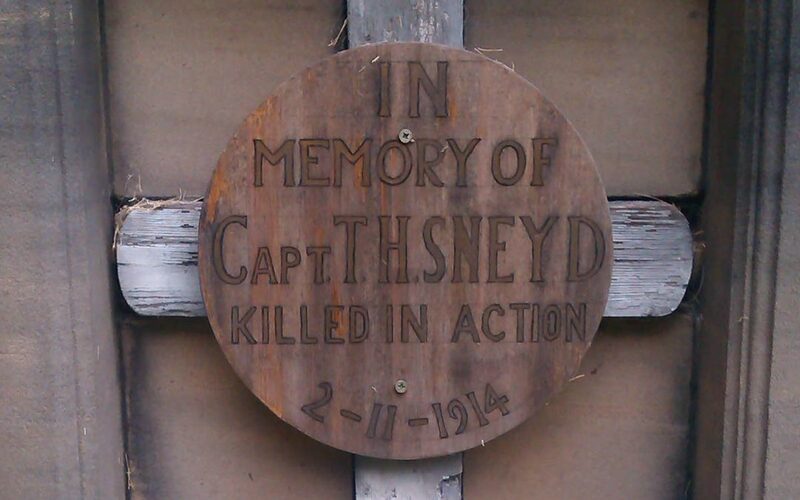 It also details his original burial place of Ploegsteert. 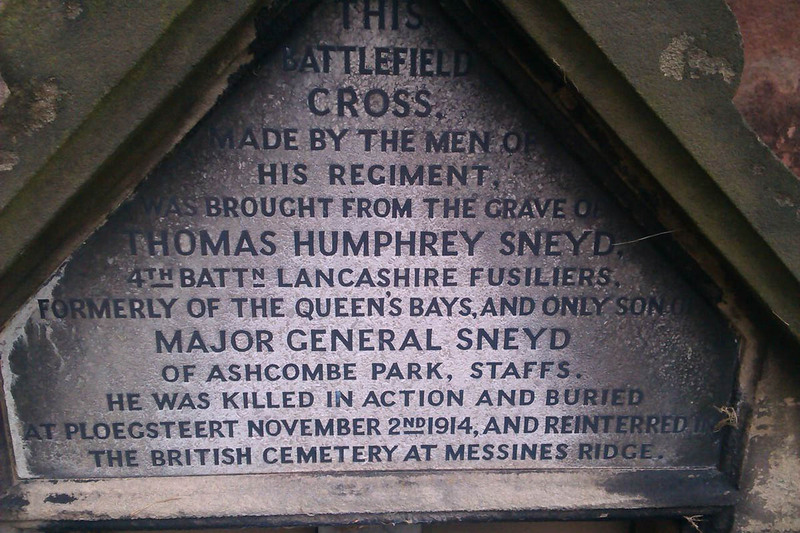 It also details that he was the only son of Major General Sneyd of Ashcombe Park, Cheddleton (see picture). 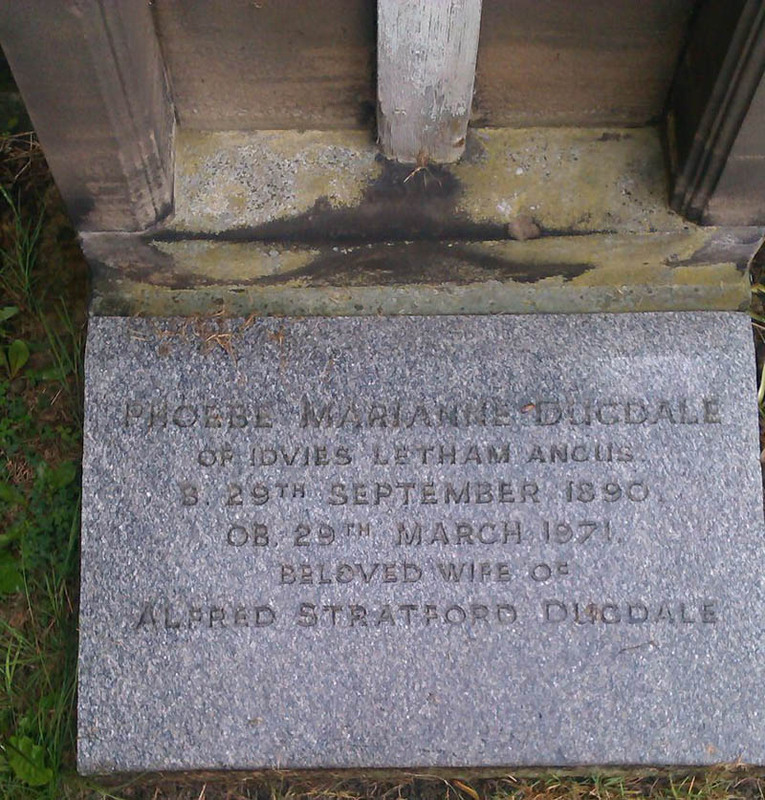 Ashcombe Park land would have bordered the church where this memorial is situated. 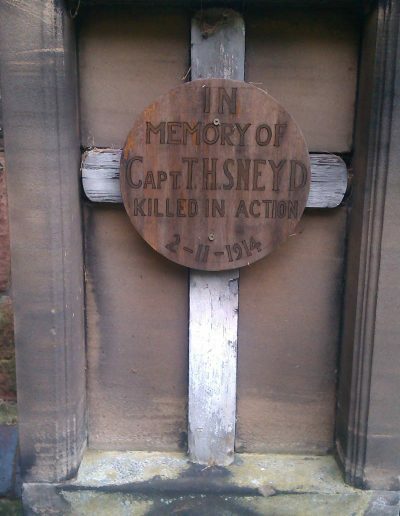 Located outside the Church in an alcove on the east side of Church. 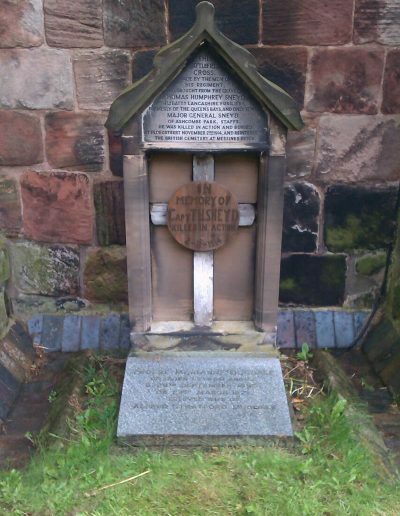 The Church has a children’s trail in which the cross is featured which is how I managed to find this cross. 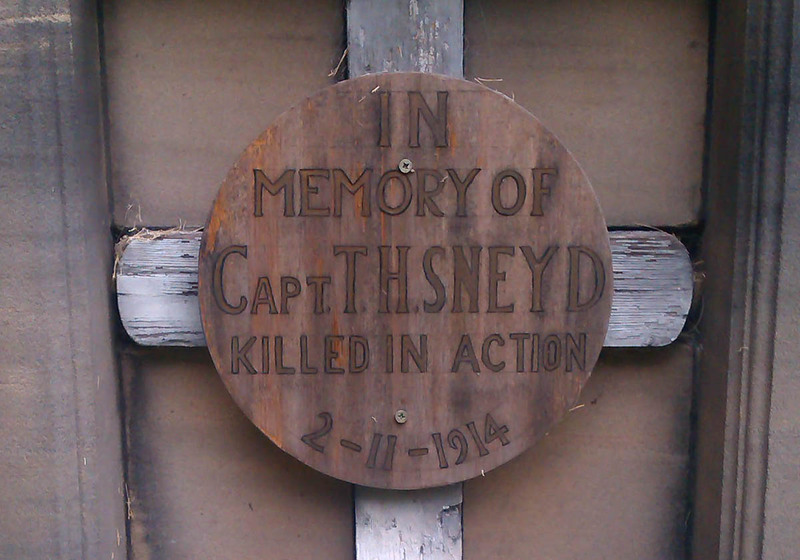 T H Sneyd is also featured on the lynch gate memorial of the Church.